Has your heater been running on fumes for a while, both in the figurative and literal sense? Maybe it's time to give it a checkup and see what's going on under the hood. We aren't really big fans of complete replacements when they aren't necessary (and most of the time, they're not). However, sometimes a heater gets 'totaled' to a point where there's no other choice but to replace it. We'd say this happens due to age, but that's not exactly right – in truth, heaters these days are being manufactured with cost reduction in mind, which is why they only have a fraction of the lifespan of the heaters of old. 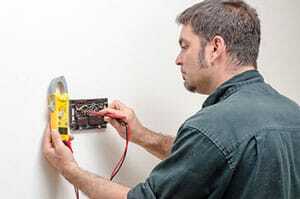 Of course, any heater we install for you will be a new model, but that doesn't mean it's going to break soon – for our customers, we pick only the highest-quality heaters from manufacturers with a long reputation of producing quality gear. A heater breaking down isn't the only cause for replacement. A home owner might simply want to introduce a more effective heating system to his or her home, which is an endeavor we fully support – few people realize how much of an impact heater quality has on energy efficiency. That's right – a lackluster heating unit could inflate your electricity bill way past what is acceptable. There is also the issue of heating strength. Certain heaters – especially those of a lesser quality – can lose their potency over time, making it difficult to achieve a satisfactory home temperature. The way home owners usually respond to this is by heating more frequently, which ends up taking its toll on the utility bill. When we're replacing your heater, you'll have the option of choosing a model or having us choose one for you. We advise on the latter, as our experts know exactly what works and what doesn't – with a heater chosen by Boerne Air Conditioning Experts, you'll know you got the best of the best and won't have to worry about a breakdown come next winter. If you happen to see a heater you absolutely have to have, we'll be happy to install it for you while giving you our opinion on how well it might serve you. Aesthetics play a role as well: we wouldn't dream of installing a heater that doesn't go along with your home's interior. Sure, efficiency takes priority, but that doesn't mean a heater can't be seen as another piece of interior decor. We replace heaters during every season and are most often able to make our visit on the same day unless we need to wait for the delivery of a specific model. 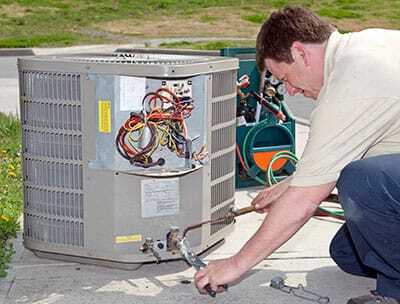 We advise our customers to periodically check their heater's condition even during the warmer seasons – it's much better to replace a faulty heater in the summer than to realize it's broken down during the peak of winter. If you're unsure of whether your heater needs replacing, give us a call and we'll give you an honest estimate – as already mentioned, we only suggest heater replacements when they're absolutely necessary.